WILL ACCEPT BACKUP OFFERS. AN EXCEPTIONAL OPPORTUNITY, that needs nothing, MOVE IN READY. Clear Home Inspection and Termite Report. This home has been remodeled over recent years and meticulously maintained in pristine condition. The kitchen was replaced in 2011 and has upgraded appliances, granite counters and high quality alder cabinetry. The bathroom was also replaced in 2011 and has a granite countertop, and alder cabinets. Tile flooring in 2011, All new LED can lighting throughout. New 30 year roof in 2010, with transferable warranty, new quality double pane windows and slider in 2008, tankless water heater in 2011, new furnace in 2003, exterior paint in 2005 and interior paint in 2011, ceiling was scraped and textured 2018. Surround Sound. This 1 bedroom, 1 bath home is located a short 15 minute walk to the beach. Built in 1978, 825 sq ft, large rear yard for entertaining. 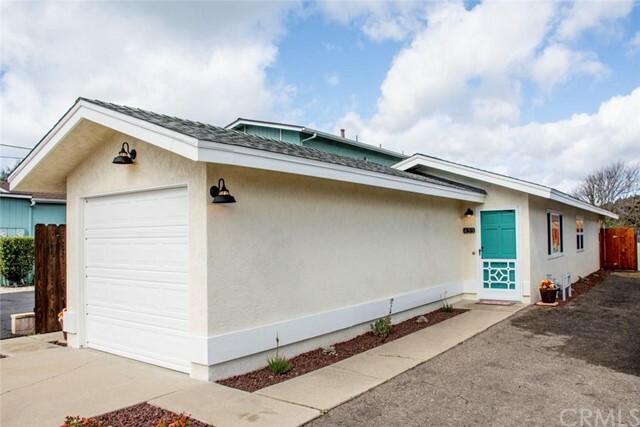 This home could be considered for short term rentals, but verify with the City of Grover Beach. Seller is willing to rent back for a year @ $2,000/mo.